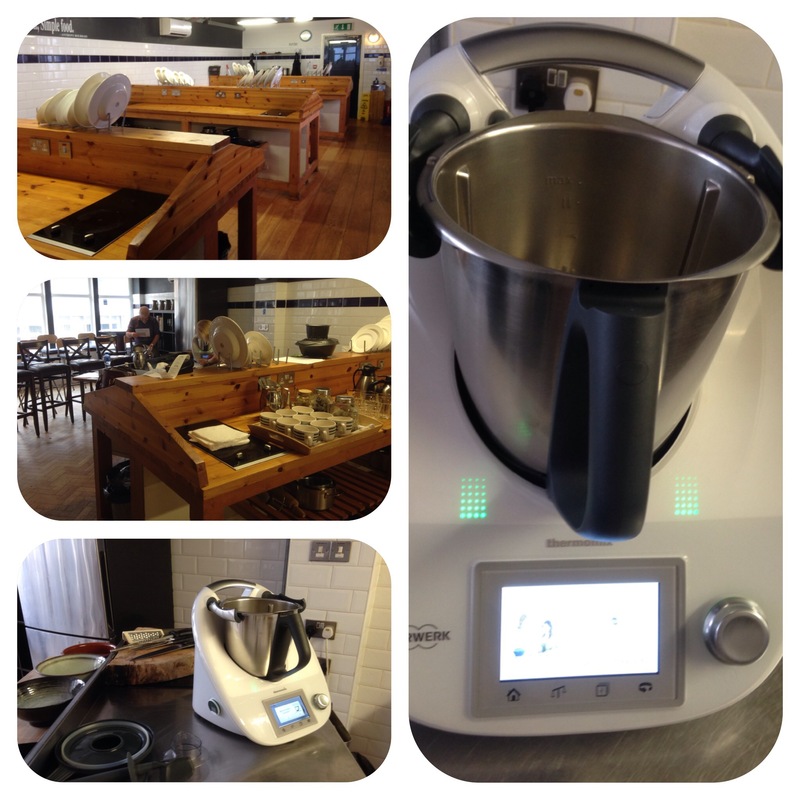 I attended a fantastic demo of the Thermomix TM5 at The Belfast Cookery School by Christine (Belfast Met) Irwin. The Thermomix machine model TM5 is a 12 appliance in one, high tech, modern gizmo/gadget for the 21st century kitchen. It’s easy to use and maintain (even has a washing mode) and is dishwater safe. It’s big and only needs a single plug!! It weighs, mixes, chops, heats, steams……it’s amazing!!! It will tell you how to cook your chosen dish step by step. There’s a handy LCD display which guides you step by step. First up was organic lemonade (3 lemons, sugar and water). This was very refreshing and too easy to make!! Then she did a wonderful dressed broccoli, Apple and pepper salad-a real delight especially for BBQ’s. Third was a most delectable fresh pesto which we had with fresh bread. Next was a really light and creamy sorbet…..with no cream. Lastly there was an amazing soup. This was made with lentils, stock, carrot, coriander and milk. It tasted very well and was lovely and smooth. There are accessories that accompany the TM5 and a couple of fantastic cook books. 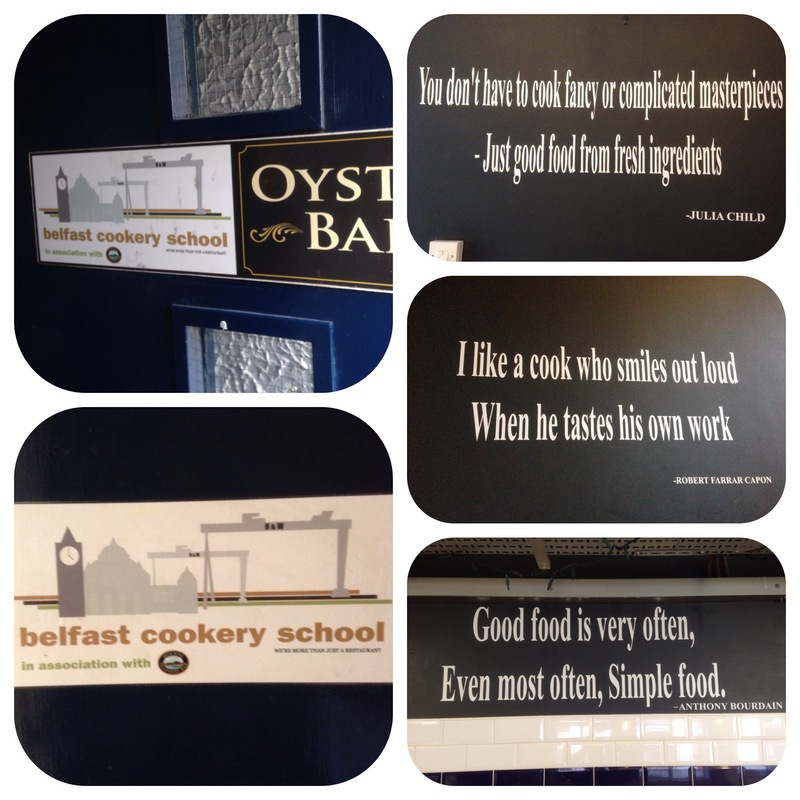 Lots of top chefs are using it…….I want one for Christmas!!!! A million thanks for this super blog. All looks great, and a glowing report on the amazing Thermomix TM5. Kind regards Chris.